Friday, February 5th BGC San Dieguito leadership staff engaged in a retreat, building skills in creativity, innovation, and enhanced leadership. 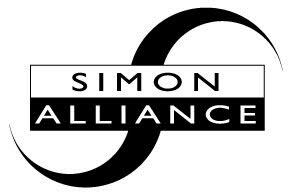 Specialty career coach and goals guru Mitchell Simon, President and CEO of The Simon Leadership Alliance, guided staff through 6 hours of exercises on communication, motivation, and goal setting – and he did so as a donation to the Clubs. Staff spent time unlocking key concepts in values and service and discussed ways to do their jobs better and more effectively, benefitting more Club members. At the end of the day, the team established the groundwork for the Clubs 50th Anniversary Celebrations throughout the year in 2016. With the new leadership team in place, the day was useful teaching key concepts such as increased positivity, team assurance, and confidence in service to the Clubs. DPR Construction Firm hosted the retreat in their modern office space and earned another debt of gratitude for helping ensure we deliver the best services to kids at the Boys & Girls Clubs of San Dieguito – the longest-serving youth organization in our community, for 50 years.